An increased level of investment in greenfield exploration across Queensland has proven a strong indicator of future growth in the resources sector. Recent data from the Australian Bureau of Statistics (ABS) for the March 2018 quarter found greenfield exploration was up 39 per cent compared to the same quarter in 2017. 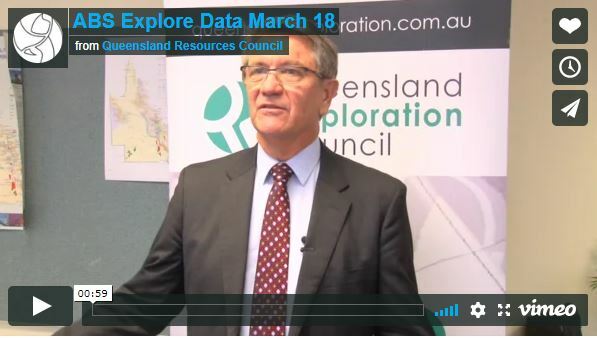 “Exploration is an important indicator of confidence in the resources sector and greenfield exploration demonstrates the sector’s willingness to explore for larger deposits,” Queensland Resources Council Chief Executive Ian Macfarlane said. “These figures again demonstrate the diversification story in Queensland’s resources with copper exploration surging 150 per cent, base metals 139 per cent, gold 37 per cent and coal up 65 percent all underpinned by a sustained lift in prices. Queensland Exploration Council (QEC) Chair Brad John said the State’s world class mineral deposits include the resources needed for high-tech products. “The increasing level of copper exploration reflects the resource as a key ingredient for future technologies such as electric vehicles and renewable energy,” Mr John said. To further bolster confidence in exploration, the Palaszczuk Government has been seeking tenders for coking and thermal coal in the Bowen, Surat and Galilee basins. “It’s an important industry and we will work with governments to ensure there is certainty for future investments and future jobs,” Mr Macfarlane said.